TRAD has recently erected a high profile project in Bristol using the new Plettac Metrix System, within programme and without incident. Fit out specialist and Main Contractor ISG was tasked by their client with the complex build of constructing a new one storey extension on top of an existing fifteen storey office premises at Redcliff Street in Bristol, the working level of which was 65.0m high with all floors below remaining in full occupation whilst the works were carried out. Given the extremely high risk in carrying out the scaffolding works, ISG approached TRAD with their vast experience of safely carrying out this type of project to discuss various scaffolding schemes for giving safe access for the main contractor and their sub-contractors. The Redcliff building is set in the middle of Bristol’s city centre, flanked by a court house and local nursery to 50% of its elevations, thus requiring stringent control measures to eliminate the risk of falling materials. TRAD planned the work in depth and a very detailed Risk Assessment/Method Statement, with pictorial sequential sketches, was produced for the erection of a high level cantilevered scaffold, with selected sections erected at night to further negate the risks. 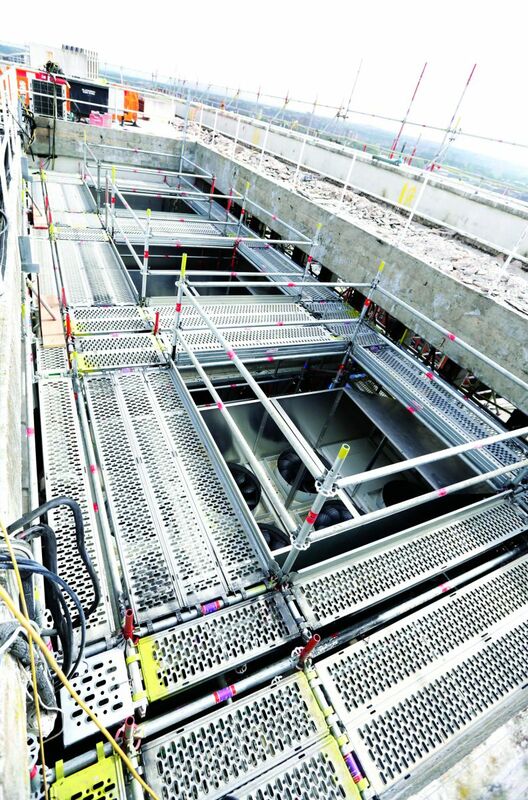 The Plettac Metrix System allowed for the cantilever sections to be safely erected from inside the building and raised into position – with tethered decks subsequently pushed out one by one on the cantilevered levels – thus creating a safe fully decked platform for the scaffolder to work from when erecting the next scaffolding level. Given that the longest length of Metrix equipment was only 3.0m, risks of manual handling, work at height, and wind dislodgement were also negated. 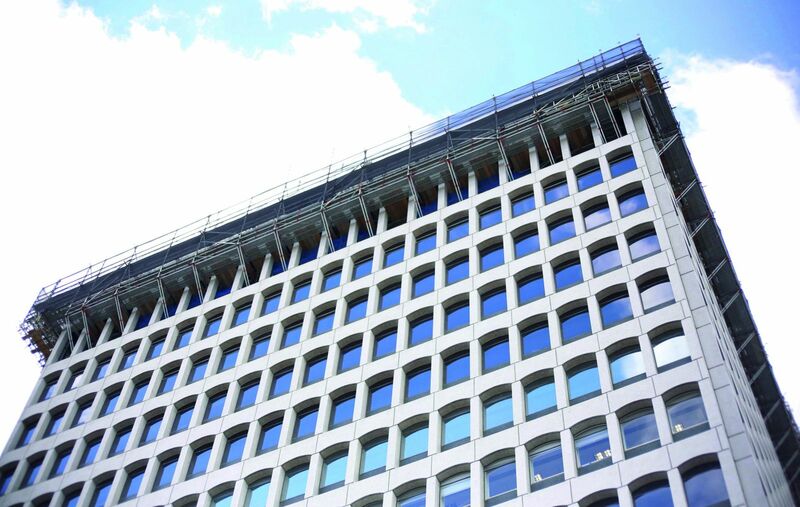 Using the Metrix System also eliminated the requirement for scaffold fittings which are notoriously difficult and time consuming to tether on overhead projects of this type. Whilst safety was the primary requirement in erecting the scaffold a high degree of attention was also placed on the programme. With an ISG required sixteen-week programme for the erection of scaffolding, TRAD completed the 160.0m girth cantilever and the 6.0m high independent raised from the cantilever in an exemplary eight weeks, largely thanks to TRAD’s Operations Manager Wayne Booth and his site team’s diligent approach to sequencing the logistics and operations whilst working outside of normal working hours. This time saving would not have been possible without the decision to opt for the Metrix System over traditional tube and fitting. 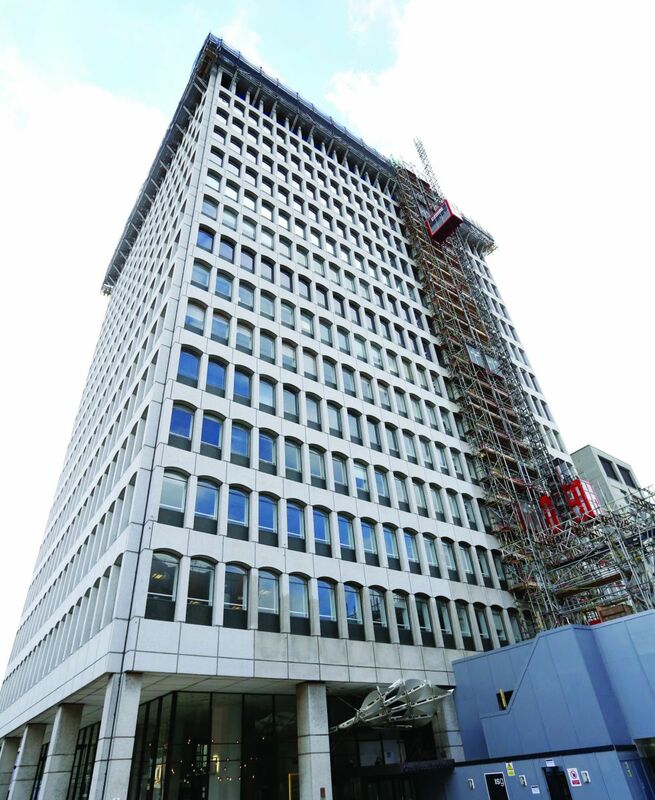 TRAD is now planning ahead for the forthcoming dismantle to ensure that it will be carried out as efficiently and as safely as the erection process.